Handmade abaca paper with watermark and archival digital print, paper size 25"x36", print size 14"x16". A paper project created at Dieu Donne paper mill in New York City. 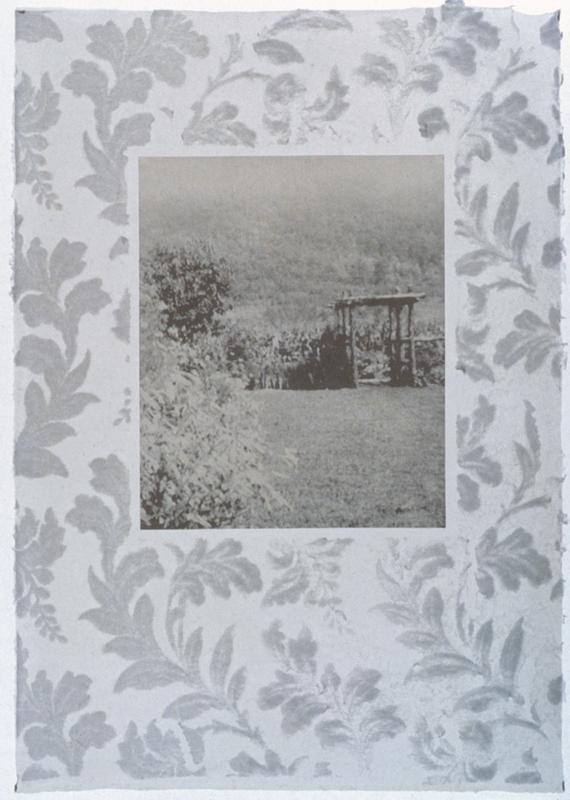 The project extends my interest in both domesticity and the landscape. The paper pieces are translucent sheets of abaca paper with a floral watermark and an image overprinted. The image is of a distant landscape. 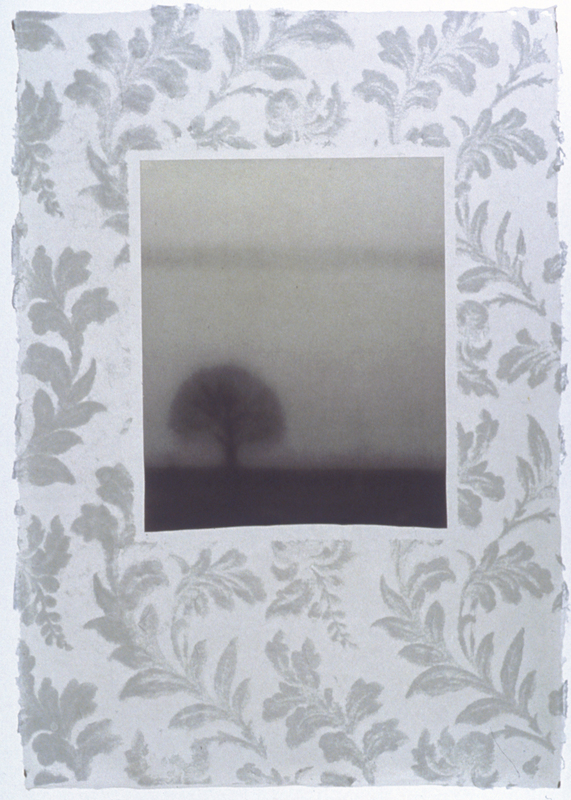 The translucent quality of the paper and image evoke the idea of gazing at the landscape through a landscape.